Bill Steele is in the trenches, trying to survive in the competitive world of luxury vacation resorts on the island of Kauai. Today is a particularly bad day; the water main burst and his guests are demanding refunds and promising bad reviews. In the middle of this, a dark shadow falls over the island. It's not a lunar eclipse, because Bill can clearly see the crescent moon shimmering on the water. This is something else. 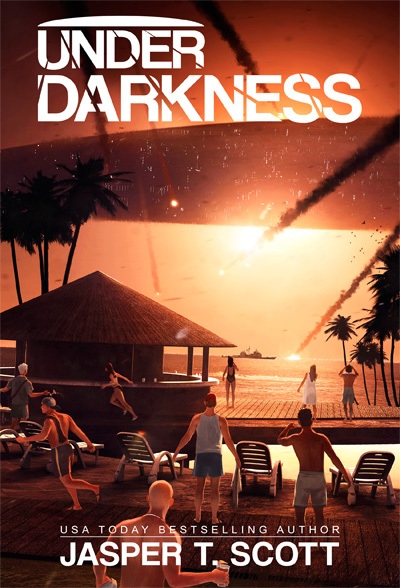 If you liked the movies Alien and Independence Day, you'll love Under Darkness. Earth is divided: humanity resides in the frozen wastes, while the invading alien machines, dubbed Screechers, occupy the habitable regions--and they have built a wall to keep us out. This is our new world. Logan Willis and his family are hiding safely in Haven, an underwater colony designed by billionaire Akron Massey to be his private shelter. But Logan's son, Alex, didn't make it. Logan is desperate to get out and find him, but Haven is in the middle of Screecher territory, and leaving could expose the colony to discovery. Meanwhile, OneZero, a friendly Screecher locked in Haven's brig, also wants to get out, and so does Akron Massey, who plans to build another rocket from the Mars mission prototype and use it to join his family on the red planet. Together these three must find a way to leave Haven and accomplish their goals, but the world they left is not the one they are returning to: secrets and hidden agendas abound as divergent groups vie for power on both sides of the border wall. With humanity's fate hanging in the balance, Logan is determined to find out the truth before it's too late. Get it from Amazon for just 0.99 until August 3rd! AND THIS SUMMER WILL BE OUR LAST. Logan Willis's life is falling apart: he lost his job and found out that his wife is cheating on him all in the same day. Thinking that his world has ended, Logan checks into a hotel and turns on the TV to see that he's not far wrong--radio telescopes have detected mysterious signals coming from inside our solar system, and the source is moving toward us at over 500 miles per second. The media concludes that these signals must be of an alien origin. Still reeling from the news, Logan gets a phone call from his brother-in-law. Richard is talking crazy about the end of the world again, but this time he doesn't sound so crazy. Meanwhile, Richard, who is an astronomer working with the James Webb Space Telescope, is at the White House briefing the president to announce what he and the government have known for almost a decade: aliens are not invading, a frozen ball of gas is. 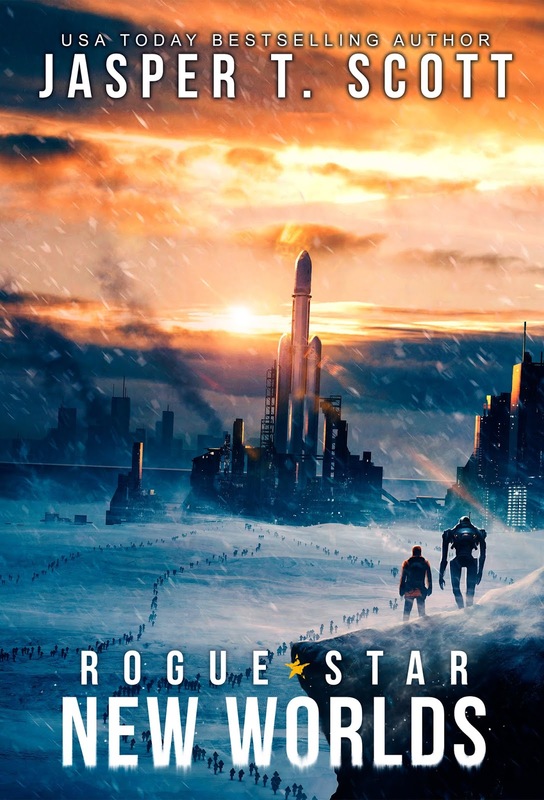 The so-called rogue star is predicted to make a near pass with Earth, disrupting our orbit and unleashing an ice age, the likes of which we haven't seen for millions of years. Government insider, Billionaire Akron Massey, has received a steady flow of funding over the past decade for his company, Starcast, to put a colony on Mars. Over the same period he's been using his personal fortune to create a colony closer to home where he plans to ride out the coming storm along with a thousand of the smartest people on the planet. Humanity will need seeds to plant in the ashes after the chaos clears. 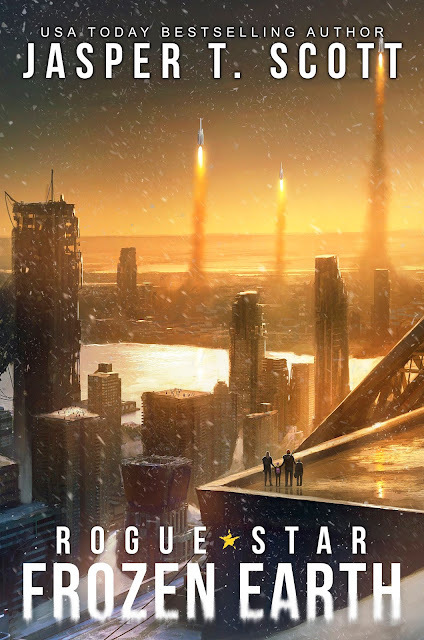 "Rogue Star: Frozen Earth is everything I look for in an invasion story. It has characters you can get behind, extraordinary circumstances, as well as twists and turns sure to keep you turning pages. A new classic from one of my favorite SciFi authors." --Nathan Hystad, Best-Selling author of The Event. 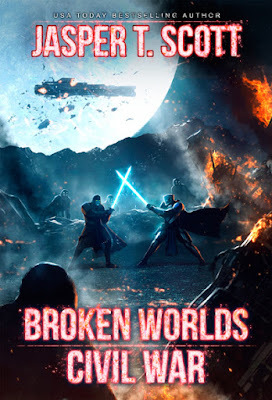 Broken Worlds (Book 3): Civil War is Now Available! Broken Worlds (Book 2): The Revenants is Now Available! The Deliverance is low on fuel and stranded in the middle of a war zone. Tanik Gurhain claims to have relinquished his hold on the crew, and yet they’ve all mysteriously elected him as their rightful leader, anyway. Blake is back to his skeptical self, and alarm bells are going off in Darius’s head, but with no fuel and the Eye of Thanatos blocked by increasingly tight Cygnian patrols, it hardly matters who suspects Tanik of foul play. He has a captive audience for the next phase of his plan. With the artifacts he stole from the Crucible, he’s going to test the crew for viable candidates and then train them to become Revenants. Tanik claims that he is raising an avenging army to defeat the Cygnians and the USO once and for all, but there’s something about Tanik’s agenda that doesn’t quite ring true. Darius suspects there’s a lot he’s not telling them, and that much of what he is telling them are lies. As the truth emerges, the lines between right and wrong and friend and foe blur until everything seems gray. Darius is forced to make a horrible choice that could change the fate of the entire galaxy forever. No matter what he chooses, one thing is certain: Tanik was right--Darius really is the key to everything. 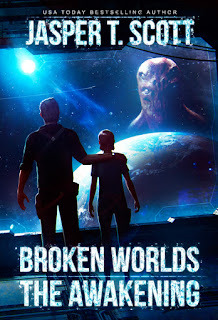 Broken Worlds: The Awakening (A Sci-Fi Mystery) - NOW AVAILABLE! Discounted to $2.99 from $4.99 until January 27th!